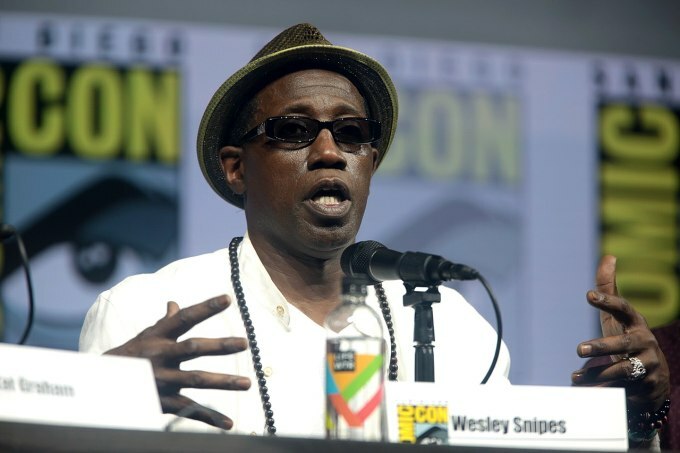 Wesley Snipes’ Tax Problems . . . More money, more problems. Not even Blade himself could slay these tax debts. Cryptocurrency taxation – How is cryptocurrency taxed? First of all, what is cryptocurrency? Cryptocurrency taxation is similar to the taxation of other investment gains and losses. If capital gains tax applies to a taxpayer’s cryptocurrency transactions, the gain or loss is calculated as the difference between the taxpayer’s basis in the cryptocurrency and the net proceeds received in the sale of the cryptocurrency. I am a Chicago CPA and tax lawyer. Among other things, I prepare federal income tax returns which may include capital gains and losses from sales of stocks, bonds, real estate and cryptocurrency. To report cryptocurrency gains or losses, the taxpayer needs to provide the basis, net proceeds, acquisition date and sales date. The IRS’ Security Summit initiatives produced steep declines in tax-related identity theft in 2017. The number of taxpayers reporting themselves as victims of identity theft dropped 40 percent in 2017. This marks the second sharp annual decline. Since 2015, the number of tax-related identity theft victims has fallen by almost two-thirds. Therefore, the IRS’ efforts protected billions of dollars of taxpayer refunds from theft. The IRS reported Wednesday it has a total of $1 billion of unclaimed tax refunds related to unfiled 2013 income tax returns. The IRS estimates the median tax refund is $763. Taxpayers can claim their refunds by filing a 2013 federal income tax return by Tuesday, April 18, 2017. That is the same day as the filing deadline for the 2016 tax year. The Internal Revenue Code gives taxpayers three years to claim refunds for income tax returns they have not yet filed. If they don’t file a return within that time, the refund expires and becomes the property of the U.S. Treasury. To claim a 2013 tax refund, taxpayers need to properly address, mail, and postmark their federal income tax return by April 18, 2017. However, taxpayers may not receive the refund. The IRS warned it may still hold onto the 2013 federal income tax refund money if taxpayers have not yet filed their tax returns for 2014 and 2015. The IRS will also apply the tax refund to any amounts still owed to the IRS or a state tax authority. Finally, the government may apply the tax refunds to unpaid child support or other past due federal debts, such as student loans. So, contact Chicago CPA and attorney Brian J. Thompson to file your unfiled tax returns and claim your income tax refund. To claim the home office deduction, a taxpayer must meet 2 requirements: 1) Regular and exclusive use for business – you must use part of your home regularly and exclusively for conducting business; 2) Principal place of your business – you must show that you use your home as your principal place of business. If you conduct business at a location outside of your home, but also use your home substantially and regularly to conduct business, you may qualify for a home office deduction. Both self-employed taxpayers and employees can claim the home office deduction. However, if the taxpayer is an employee, there is an additional requirement that the home office also must be for the convenience of the employer. This generally means the employer does not have a local office. As an employee, you must itemize deductions on Schedule A (Form 1040) to claim a deduction for the business use of your home and any other employee business expenses. Self-employed tax filers who use part of their home in a trade or business and file Schedule C (Form 1040), report the deduction for business use of their home on line 30 of Schedule C (Form 1040). There are 2 options for calculating the dollar amount of the home office deduction. The first option is based upon the actual percentage of your home used regularly and exclusively for business. This option requires the taxpayer to track expenses such as utilities, insurance, depreciation (or rent) for the entire house and then allocate those expenses based upon the percentage of the home used for regularly and exclusively for business purposes. Did you receive an IRS CP2000 Notice? What is the purpose of the CP2000 Notice? This notice means the income and/or payment information the IRS has on file (from a 1099 or W-2) doesn’t match the information the taxpayer reported on his tax return. This could affect your tax return; it may cause an increase or decrease in your tax, or may not change it at all. What should you do upon receipt of a CP2000 Notice? Read the notice carefully – it explains the info the IRS received and how it affects your tax return. Complete the notice response form whether you agree or disagree with the notice. If the info is wrong, contact the business or person who reported it to the IRS and ask them to correct it. Then, provide this corrected info to the IRS. Consider whether the mistake may have affected other tax returns such as your state income tax return. Contact a CPA if you need professional help. For further details on the IRS CP2000 Notice, visit the IRS website: Understanding your CP2000 Notice. Contact Chicago CPA and business lawyer Brian J. Thompson at Brian@BrianThompsonLaw.com if you need professional tax help. 2) Credit risk/bankruptcy risk – the counterparty is unable to perform due to insolvency or bankruptcy. Corporate shareholders take on the same risks noted above when they agree to accept payment at a later date. Chicago business lawyer and CPA Brian J. Thompson strongly encourages those considering an LLC member buyout to consider the default risk and credit risk. For these reasons, it is important to receive as much of the proceeds of the LLC buyout in cash at closing. Where to I get a Chicago business license? The City of Chicago’s Department of Business Affairs and Consumer Protection (BACP) issues Chicago business licenses. Do You Need a Chicago Business License? If you are starting a business in Chicago, you probably need a business license. As a general rule, the City of Chicago requires a business license to conduct, engage in, maintain, operate, or manage any business in Chicago. However, there is an exception to this rule for professions regulated by the Illinois Department of Financial and Professional Regulation. The City of Chicago does not require a business license for such professions unless the business offers additional services not covered by the State of Illinois license. Finally, check the City of Chicago’s Small Business Center if you require further details. Also, consider whether to set up an LLC or corporation for your business. Retain Chicago CPA and business lawyer Brian J. Thompson to set up your Illinois LLC. Brian@BrianThompsonLaw.com.